By the end, you’ll be able to hold basic French conversations – such as introducing yourself, asking for directions and making small talk with others. You’ll also know how to read and write in French. Introduction to French: Want to learn French? Don’t know where to start? This is it. The Introduction to French Video series is perfect for those who know zero French but want to take that first step. In this 5-lesson series, you’ll learn all about the French language, as well as grammar, writing and phrases to get you started. Ultimate French Pronunciation Guide: Ready to sound like a native French speaker? Join Alisha and Mailys in the Ultimate French Pronunciation Series! In these 25 video lessons, you’ll learn the ins and outs of perfect French pronunciation. You’ll learn the common mistakes learners make, how to avoid them, and the nuances that only native speakers are aware of. Learn French in Three Minutes: In France, manners are important, and in this 25-lesson series, you’ll learn some of the basics you need to be polite while speaking French. Ingrid will take you step-by-step through must-know phrases like “Do you speak English?” and “Hello, my name is…”. See the phrases broken down on screen while native French speaker Ingrid explains the grammar and composition. Plus, you’ll get some special tips on how to be extra authentic when interacting with native French speakers. The best part? You’ll do all this in just 3 quick minutes. French Listening Comprehension for Absolute Beginners: Improve your French listening skills in every lesson! This French Listening Comprehension Series tests you on your listening and makes sure you understand every word. Listen to the dialog, watch the video, and answer the questions asked. This video series is perfect for Absolute Beginners. 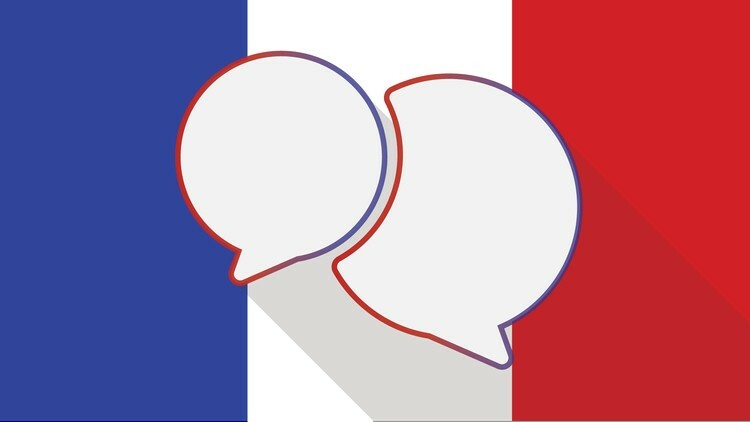 French Listening Comprehension for Beginners: Ready to understand even more French? This French Listening Comprehension Series tests you on your listening and makes sure you understand every word. Listen to the dialog, watch the video, and answer the questions asked. This video series is perfect for Beginner French learners or those looking to reach a Beginner level.